Business Cards - Sweet Greetings, Inc.
_Beautiful, full color business cards. We add your business information to our fun, colorful, professionally designed business cards. 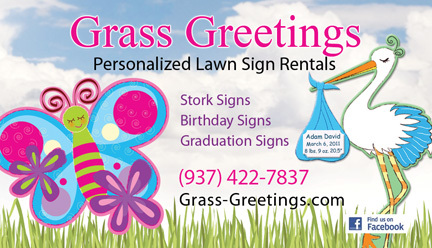 You wont want your customers to only ever rent one sign. Keep them coming back! Let them know you appreciate their continued business. Choose your own discount to offer.